There's more to this profession than just growing, then harvesting trees for money. Owning and managing forests is a job with special benefits. 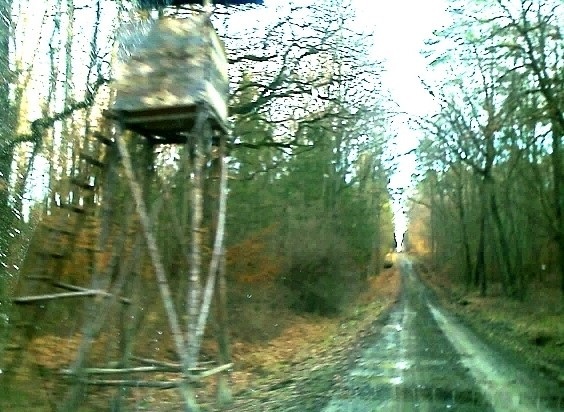 People buy, or continue owning wooded land for differing, and personal reasons. The old term, my forest is under multiple-use management says it. Along with the growing trees, those acres also bring wildlife, relaxation, exercise and natural beauty for all to see. And public good too, as watersheds and more. The business aspects do matter, because owning carries along expenses of ownership, like insurance and taxes. Access roads and and boundary lines need to be maintained. Forest management, in the financial sense - sustainably lets the growing forest pay for its own upkeep, with some profit besides. Money can come in, for example, from timber sales, hunting access fees, special crops like Christmas trees, short term recreational leases and subsurface mineral leases which do not allow surface disturbance. 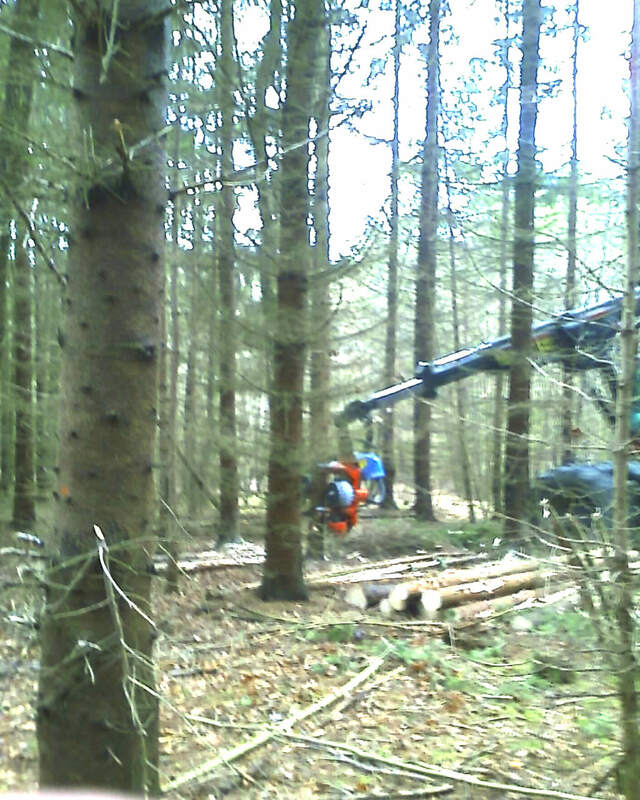 Thinning or salvage is planned logging that removes smaller or poor quality trees, eliminating those with insect or disease pests and improving growth conditions in the residual stand. The owner's choices matter here; small game hunters frequently keep species of trees and shrubs that offer shelter and food for wildlife. 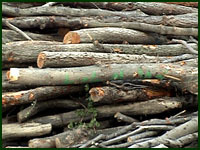 Logging crews need companies to buy low-grade logs, poletimber and chips they produce. 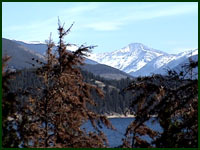 The forestry activity is often called a low-grade sale; generating mostly low value commodity, or bulk sale, products. The improvement in forest condition is the benefit most owners expect. Most also want some cash payment, but frequently logging costs, together with freight expense to distant buyers leaves little or no cash income for to the landowner. There is meaning behind the double emphasis. Freight distance is key to the owner's value of standing trees. Whether the product shipped is poletimber or chips, trucking costs vary little over the first 20 miles, but for longer distances the expense goes up with mileage. The most reliable buyers of wood chips or roundwood traditionally have been large plants that depend on logging crews working up to 150 miles away. As an estimate, at that distance the per-load revenue will drop by $300 or more, about $12-14 for each delivered ton of the product. Mill wood buyers may apply zone-pricing to make up the difference for the wood producer when the mill needs to increase the number of deliveries, but under normal times they prefer to "stay in closer" to save money. Logging crews go out of business when they cannot sell some wood profitably every week. A local demand for low-use wood exists today, without a business to serve it. The heat supply market has not interested American foresters and wood producers so far, but opportunities await the timber industry as more people ask for heat and cooling from renewable energy sources. 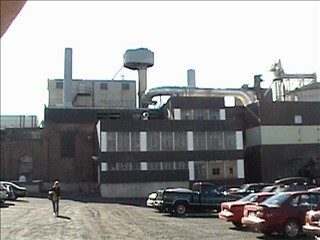 Wood-to-heat facilities like the college campus boiler plant (right) use less wood per hour than big mills, but they can afford to pay similar prices for wood chips of the same acceptable quality as the mill, but they can be much closer to the job. Selling (pick a number, say 2) loads per week, every week to the local outlet, means each crew has another dependable source of income to cover logging equipment, manpower and profit, while also paying reasonable return to the forest owner on his tree-farm investments. Today, wherever you are in America, the potential to develop new, well designed heat-from-wood chip facilities is almost limitless. The missing factor has been people and the business in the middle. Wood producers, forest owners or managers with the low-grade timber, who know timber production AND make an effort learn the fairly simple business of heat energy supply contracting. Better still, they partner with neighbors in their community for the purpose. Well managed businesses can provide complete, quality service at a profit based on the difference between value of wood chips in the truck, and the corresponding value of the heat generated from it. Customers want comfort, not chips, fuel oil or any other fuel. Selling them that comfort (heat) using a renewable energy source is the service. Value is added to wood chips only when the new heat supply contracting business begins operating. Keeping occupants comfortable and supplied with service hot water requires a the same quantity of heat energy with either fuel type. Wood chips can do the same job for less money. Facility operators benefit in other ways by contracting for heat, and for that reason, they can be willing to pay nearly the same as if they were using the conventional source. For perspective, consider this example with recent energy cost data for a 50 unit apartment complex in Pennsylvania. The bottom(green) row figures are the estimated fuel energy cost of hot water used (only) for showers by tenants over a single 3-hour period. So why don't managers of hotels, laundries, apartment complexes or swimming pools do it themselves? Their attention is on satisfying customers, as is yours. Hotel staff people are hired to help guests, not service heat pumps or boilers. Even today, American biomass heating equipment companies sell and install the units, then expect the new owner to learn and follow the directions and manage fuel supply, two areas they don't know, or care to learn. It does require some staff time. Wood chip or pellet heat systems take more attention than the gas, oil or electrical units that the owners already know and trust. Management will not risk complaints about heat, cooling or cold showers. Today's biomass heating (biothermal) equipment does work well when installed and operated as designed. The business develops as a service, giving customers clean renewable energy they want and can promote, in ways that eliminate their sense of perceived risk. Managers of hotels and other good candidate buildings can be quite willing to contract for the service with a qualified company when the terms are right. Land owners, foresters and wood producers need new markets for low-grade timber and urban green woody biomass. We offer assistance in market development across all types of timber. With income from these new businesses, the industry can continue using good practices to benefit the entire forest community and still generate a profit. Our experience includes buying and selling timber, chips and hogged fuel, and also in building energy use, efficiency and renewable fuel applications.